Since my first visit to Madagascar at age 21, I always knew I’d be coming back later in life to work as a scientist. After a short stint as a volunteer for WWF in remote fishermen territory, I felt changed forever and compelled to make a difference as a scientist. The sheer beauty of the country, its uniqueness, but also its vulnerability, humble people, and incredible animals were all were reasons for me to come back. Little did I know it would be for the whale sharks. 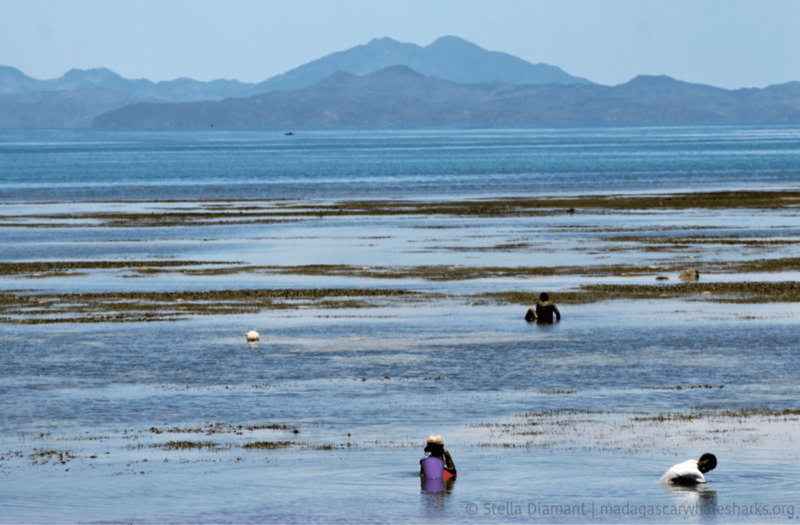 For the third year now, I spend half of the year in Nosy Be, northwest Madagascar, to pursue the objectives of the collaborative and multidisciplinary project I founded here, the Madagascar Whale Shark Project. Having to secure funds for the project year after year, dedicating my life to making it a success is quite a commitment and means the rest of the year I work from cafés as an officeless and homeless scientist. Yet, investing all my time (and more) into the project finally is paying off, and it is slowly embodying the vision I had in mind when it all started. Stella and a whale shark off the coast of Madagascar. Until recently, few people knew much about Madagascar (aside from the cartoon). Its incredible, endemic wildlife, variety of cultural heritage and traditions should be what people think of when they hear about Madagascar. Sadly, environmental degradation and political instability have given the country another image. 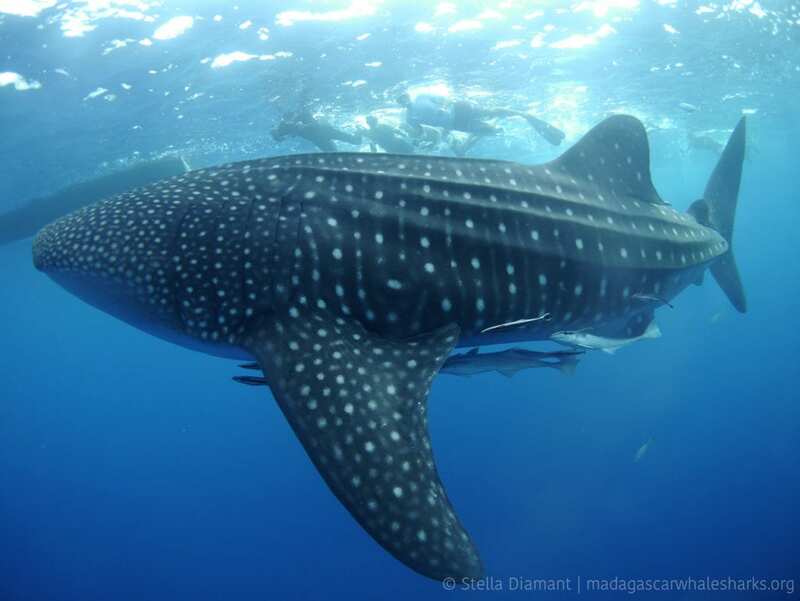 Initially I started to focus on whale sharks for two reasons: because nobody was doing any research on the species in Madagascar and I felt such an animal could not go extinct. The few who have swam with a whale shark will know what I am talking about, how one can feel so small yet so privileged to share a moment with one of the last marine species our technology still can’t track once they start diving deep, below 1800 meters. Local Malagasy people call them the “milky way shark” thanks to its star-like pattern. Seizing that opportunity meant I had to start from scratch, send emails to world experts, read up, identify potential partners…it was difficult as a young woman who doesn’t know much about sharks, but also liberating to be in a position to make things happen directly. Since then, I now collaborate with global organizations and NGOs, and we published our first publication a few months ago. Diving in Nosy Be, Madagascar. Most importantly, these findings are key to inform the local authorities and eventually shape the conservation initiatives in Madagascar to ensure the species survival, now an endangered species on the IUCN Red List. While they are the biggest shark and fish in the world, many things are still unknown about the species, which makes it even more difficult to protect. Through our work, we are slowly telling the world about the unmatched marine biodiversity and budding sustainable tourism that are slowly making the reputation of the small island where I work, Nosy Be. Our primary focus is to study the population ecology of whale sharks found in northwest Madagascar, to better understand their distribution, abundance and population structure. 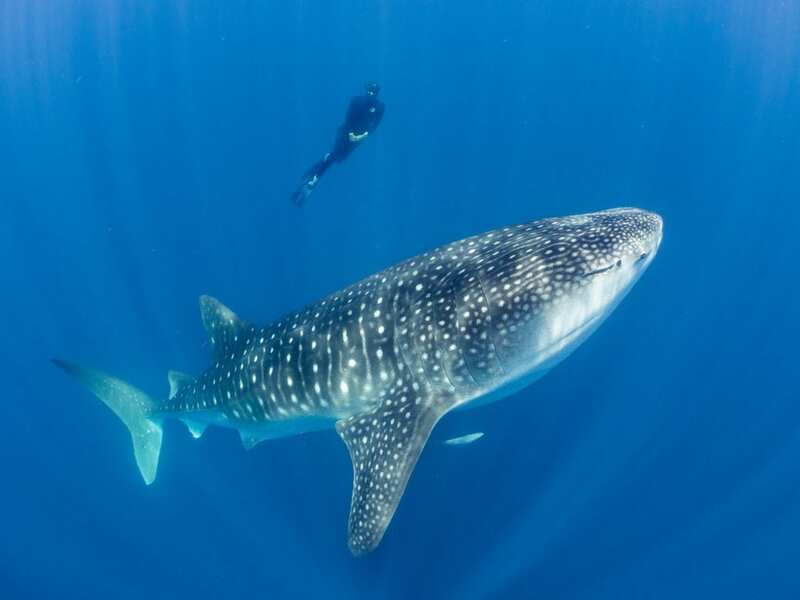 At the same time, whale sharks are slowly becoming a symbol in Nosy Be, as tourists come from all over the world to swim with the world’s biggest fish in unspoiled blue waters. Since last year, we have successfully implemented a first code of conduct amongst tourist operators, enhancing the quality of interactions between whale sharks and humans. This year, thanks to funding from Vocatio and the Clear Reef Social Fund, I am able to launch an education program in schools in Madirokely, where we are based, to trigger awareness and ownership of this incredible natural heritage amongst Madagascar’s youngest ambassadors, and thus help to preserve the habitat of whale sharks and other cetaceans, turtles and sharks found in the area. I also hope to motivate and inspire other young people to follow their gut, opportunities and ambition. There are still many species to save, many people to educate, and many places to explore. Your time is now! Invest in youth like Stella who have a vision for a better planet.